Korean website 100Beat is receiving a lot of attention for their recent article on the “5 Best and Worst Idols over the past 10 years”, and we’re bringing it straight to you. The hottest topic of the Korean music industry over the past few years has been none other than the ‘idol fever’ sweeping the market. With previous years being taken over by boy bands, the past 10 years of the music market have been dominated by both group and soloist idols. Which idols are the best? Which idols are the worst? With the emergence of H.O.T as the initial marking point of the trend, five individual teams were chosen to compile entries for both the best and the worst categories. Those that participated in the survey include 20 professional critics, such as music magazine editor-in-chiefs, journalists, and broadcast writers. All of them participated in a discussion meeting with ‘100 BEAT‘ in order to come up with the following list. BoA has topped the list, having debuted 10 years ago at the age of 14. She’s become the model of detailed planning and success. Maybe it’s because she was produced with the foresight and future planning of penetrating the overseas market, but her music itself was trendy with very little flaws. Her agency created a system that worked positively in BoA’s case, making her first footsteps the standard planning of all subsequent idols. She was also one of the first female idols to blow away the image of being a ‘passive’ woman, making sexist phrases like, “The right and wrong of women are covered behind men,” a thing of the past. And despite much time having been passed since the era of S.E.S, they are still remembered as ‘the’ model for girl groups, earning their place in fourth. Critic Kim Bonghyun stated, “S.E.S is one of the first idols that successfully accomplished both image and music.” Their competition with Fin.K.L showed the market the effects of competition between stars – much like how the competition between the Wonder Girls and SNSD opened doors for yet a newer generation of girl groups. Many critics were put off by idol groups pretending to be a ‘band,’ with other groups like FT Island and Click B earning cold reviews as well. Lee Kyungjoon commented, “ZE:A is an example of the previous three reasons being applied in a roundabout way.” This statement coupled with their song title, ‘Break Up Adlib,’ is nothing short of being the cherry on top of the absolute worst. Super Junior has also managed to make the list by dividing listeners into those that can memorize their names, and those that cannot. 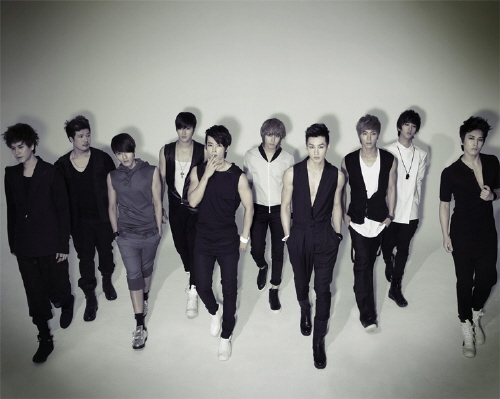 Critics regarded Super Junior as being nothing other than a bandwagon-type group with skills that fall short of the rising level of expectations. Ironically, there are qualifications to even becoming the worst, though the true worst is yet to be revealed. Critics concluded that Super Junior is an unfortunate group that just isn’t able to live up to the level of their popularity. H.O.T, the first idols to ever succeed, also became an icon of failure in their eyes. Although full responsibility cannot be placed on H.O.T, they are, however, one of the reasons for the distortion behind the music market and biased planning. Critics that chose Rain as the worst revealed their reasons to be his excessive media exposure, constantly bombarding the press with news of his ‘world expansion’ and being a ‘world star.’ Although being an all-around player is one of the points of idol promotions, critics have stated that once the details of Rain’s accomplishments are actually investigated, nothing can be found other than the skinny reality behind his impressive body. With SM Entertainment artists dominating both the best and the worst lists, the list reveals that the company has been the leader of the idol market thus far. These results also demonstrate that groups are more popular than solo artists. No group made both lists, proving that there is a universal standard dividing a clear ‘like and dislike’ with each idol. Idols are immediately separated into ‘likable’ and ‘not likable’ – a standard that only looks at the absolute basics of each idol. Whether or not such a phenomenon will work in the advantage of idols requires more time to see. This entry was posted on September 17, 2010 by redtofu. 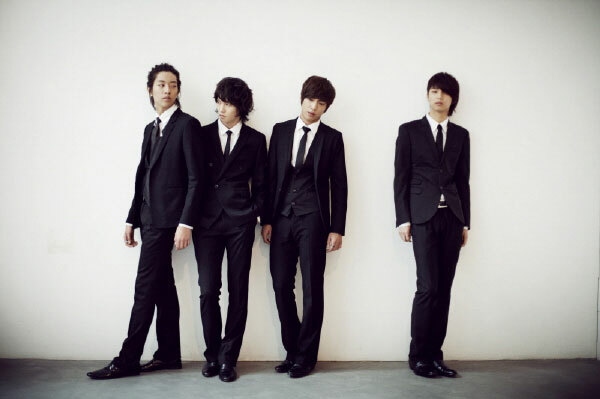 It was filed under Band, Boy Band, CN Blue, Girl Band, News, Poll, Solo and was tagged with big bang, Boa, CN Blue, DBSK, H.O.T, Rain, S.E.S, SNSD, Super Junior, TVXQ, ZE:A.
of all the allkpop’s news for that day, this one was the one I hated the most. How could be that SuJu belongs to the worst idols because of their names? Isn’t it Girls Generation composed of 9 girl groups? And most of their looks are almost the same. Not like in SuJu, everyone shines in their own ways. And how could be that Rain is over exposed? He’s in various fields that’s why people don’t get that used of him. He ccan act, sing and dance. I hate that news a lot. Full of lies. Now I know why my friends don’t like reading news from allkpop because people there are bias. Those professional “critics” must be blind, deaf, or both. Super Junior has tremendous talent and have lasted for like six years now! That’s longer than most boy bands! They’re always working extremely hard to please fans. SNSD is like their girl counterpart, so it doesn’t make sense that they’re on the best list, while Super Junior isn’t. Whatever, ELFs don’t even care what critics say about our 13+2 boys. In our hearts, Super Junior is the best.